“you want to go to Negril? Just here singing one of my favorite songs! la-la-la-la-la-la… This song pops in my head every time I think of taking a trip to Negril Jamaica! Oh! Did I tell you? Or did you guess since I’m here singing away! Well, I’m taking a trip to Negril!! Yes, even in December, Jamaica is the Island to remember! Our sun is ever shining and our hearts are ever smiling! I’ll be packing my bags pretty soon and going to chill a little after the Christmas season! Excuse me, I got a little distracted day dreaming, what was that question you asked? Oh, where will I stay? I’m sorry, I thought I mentioned it, no, no not the all inclusives, that's too expensive for me at the moment and thats not the speed I’m craving. I’m looking for authentic and simple relaxation, warm and friendly service in a clean environment with a true feel of Jamaica at a reasonable cost! Where will I go to feel like home away from how you ask? Ok I can’t keep it to myself any longer… CORAL SEAS BEACH RESORT NEGRIL! Oh sorry… that was a bit loud! But I couldn’t contain the excitement any longer! So It’s going to be me n me!! It may sound selfish of me because its a kids friendly resort, but I’m getting away and getting some well deserved 'me time'! The Coral Seas Breach Resort will cater to almost any mood or personality. The resort has two sections with accommodation and offers not only the option to be close to the beach but also the option to be cozied up in the garden for those who prefer to be closer to nature on this nice tropical Island! For some people there's no better way to spend a vacation than to be on a beach in Jamaica! Well the beach section of Coral Seas Resort is located directly on our famed Seven Mile beach on Negril! Just imagine pristine white sand beach and turquoise waters and being able to take a stroll to Margaritaville! Not only that, but you can easily walk to downtown Negril to do some shopping! O ya! If you’re like me, you appreciate all that mother nature has to offer! So it shouldn’t be surprising to others if you decide to stay on the garden side of the resort. If you just got married and want to be in the mix without “being in the mix”, you want to have access to the beach without having to be a step away! A pool, a bar, good food and nice sweet reggae music is more to your liking, for this trip anyway, then the gardens at Coral Seas Resort is for you! Be close to nature, tranquility at its best! 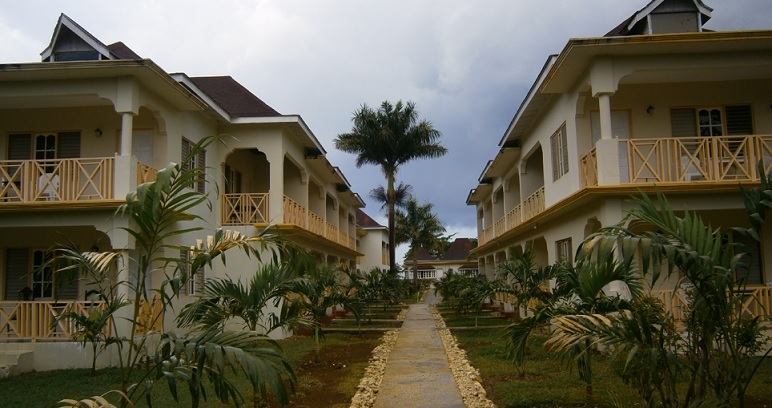 Check the garden side of the Coral Seas Beach Resort Negril. For more information on the resort visit their website or contact them via the links below.